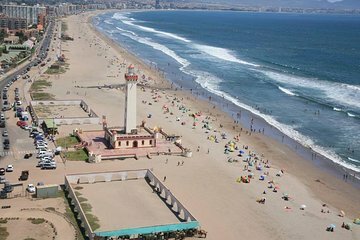 Save time by combining a city tour of La Serena with a tour of Coquimbo Bay with this private tour. Along with seeing the Monumental Lighthouse of La Serena and Playa La Herradura, you’ll also visit the Archaeological Museum of La Serena with an included admission ticket to learn about its pre-Colombian artifacts. Plus, your guide tells you about Chile’s history the whole way through your tour. Tour ends at your hotel.